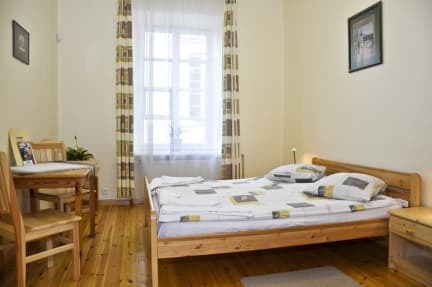 Litinterp Guesthouse Vilnius, Wilno, Litwa : Rezerwuj teraz! penalty equivalent to one night's stay. cost of one night's stay. payment equivalent to 1 night's stay is required). - Check out is at 11 AM. - An extra fee is required for check-outs after 15:00 and the standard one night's fee is charged for check-outs after 18:00. - You can leave your bags in our luggage store. 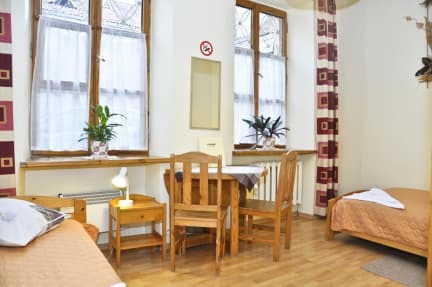 The 2 star LITiNTERP Guest House Vilnius located in historical Bernardinu Street, in the heart of the city's Old Town. We have 16 comfortable wooden furnished rooms, tea/coffee facilities, refrigerator. Guests have their own keys with access to rooms at any time. All rooms are non-smoking. Breakfast is not included, but it can be ordered. It cost 3 €/person. Free Wi-Fi in all rooms. Our staff do their best to make you feel at home! Every client receives a recommended complimentary Vilnius In Your Pocket guide! PLEASE NOTE, WE DON'T HAVE 24 HOURS RECEPTION!